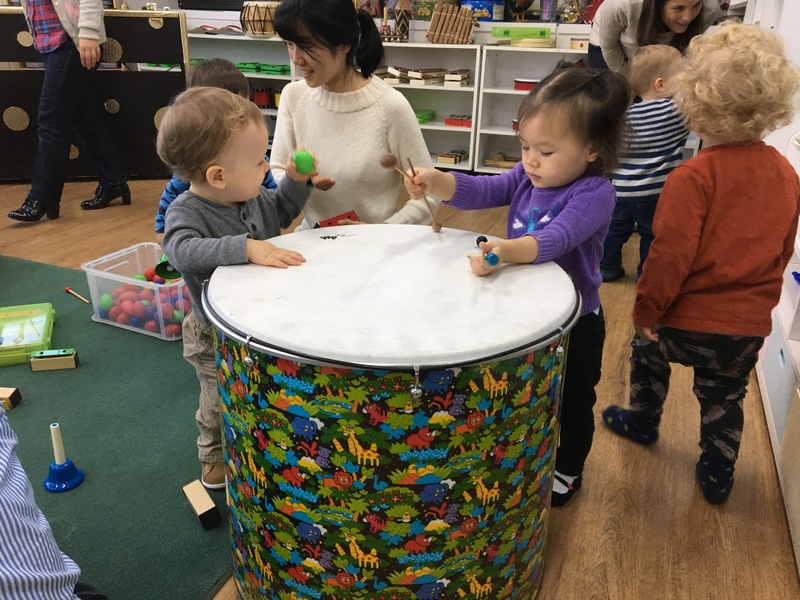 Isa and her friends from music and movement class get “free choice” after circle time, and Isa is really most drawn to the giant drum. Above, she and baby Levi share the drum. 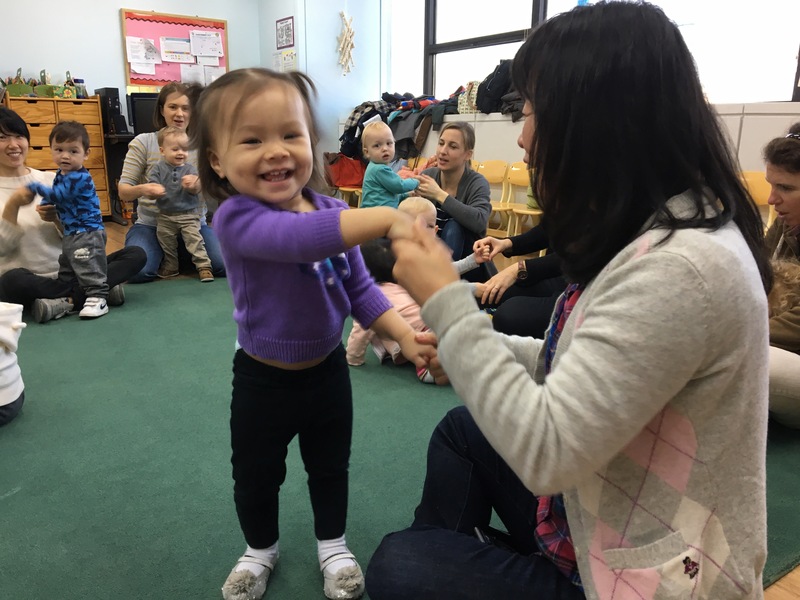 Below, Isa dances with the music teacher, Miss Christina.